In this article we shall update you on all the jamb accredited Centers that exist in Nigeria. 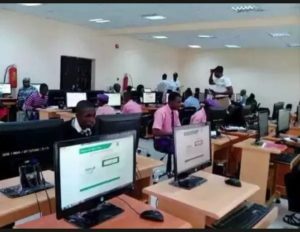 This article is about jamb registered/ accredited Center for 2019/2020 jamb exams. In an effort to conduct an examination free from fraud, malpractices of any kind, the Joint Admissions and Matriculation Board JAMB has released list of accredited centers that will partner with them to conduct a successful UTME exam. Although they can assist in creating of jamb profiles and also carry out correction of Data. This accredited Centers are the only place where candidates are free to process their jamb forms. Candidates are expected to go with their personal details, such as their names, recent passport photographs, Jamb profile and jamb E pin. Avoid exploitation : during the time of ppt when there was open Registration, a lot of cyber cafe operators usually charge as high as 1,500 while others charge 1000. Candidates where exploited and cheated in what ever way because their were no uniform price. mismatch of candidates’ particulars: there where situation where candidates couldn’t get their particulars after being told to come back after some days. Most of this unregulated cyber cafe employ the hands of individuals with questionable characters at the detriment of candidates. registration-irregularities: there where widespread of irregularities and fraud of all kind,to check this jamb has to stop unregistered bodies to partner with them. So we are going to compile a comprehensive list of all accredited centers that is located in every state in Nigeria. The list is provided in a pdf files, but you can easily view or download it. Remember that you can either download or direct view them here. Jamb will assign you to an accredited Center a week before the exams. You are to Reprint your slipat a given date as this will display your final exam date and venue.